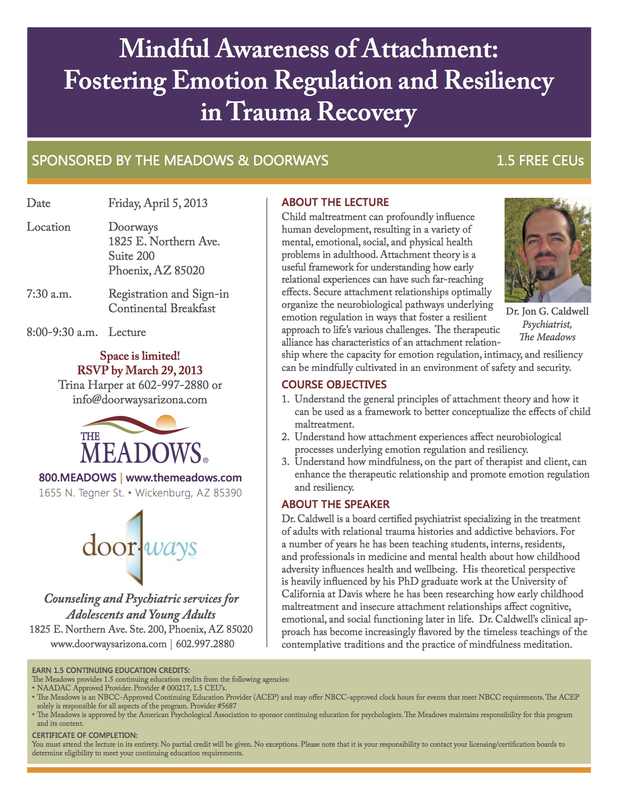 Doorways Arizona, in conjunction with The Meadows, is hosting a CEU opportunity. Mindful Awareness of Attachment: Fostering Emotion Regulation and Resiliency in Trauma Recovery will be held on Friday, April 5, 2013 from 8:00 – 9:30 a.m.
Space is limited! RSVP by March 29, 2013 to Trina Harper at 602-997-2880 or info@doorwaysarizona.com.